The case of the “monstrous mates ” of the Nibelungenlied and Völsunga saga (Brunhild, Brynhild, Kriemhild, and Gudrun) promises to shed light on some fundamental problems in the Nibelungen/Niflungen tradition of scholarship. Though each work represents the culmination of an epic tradition, one continental and one Nordic, the mountain of Nibelungen research casts an enormous shadow over the tiny molehill of scholarship on V ölsunga saga. This disproportionate interest in only one of these two thirteenth – century epics is part of a larger problem, namely a continuing obsession with origins, which gives V ölsunga saga, a work roughly contemporaneous with the Nibelungenlied, little role to play in the grand design of antecedent texts that make up the Nibelungen lineage. By what magic have medievalists been able to make the Nordic epic V ölsunga saga invisible? 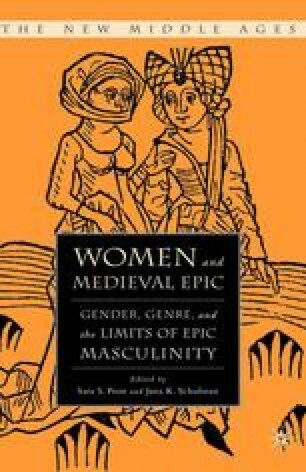 John Dagenais, in his recent book The Ethics of Reading in Manuscript Culture, formulates our predicament with unerring precision: “Medievalism, as it has been practiced over the past two centuries, is the only discipline I can think ofthat takes as its first move the suppression of its evidence. “1 Joachim Bumke ’s work in the 1950s and 1960s continued the tradition of source studies; however, Bumke ’s more recent work (e.g., “Der unfeste Text ”)2 echoes Dagenais ’ charge to the profession in that he encourages a reexamination of our methodological fundamentals, especially in his call to bring together the scholarly streams of text interpretation and text editing which have journeyed separate paths for far too long.